Yum, these look adorable! 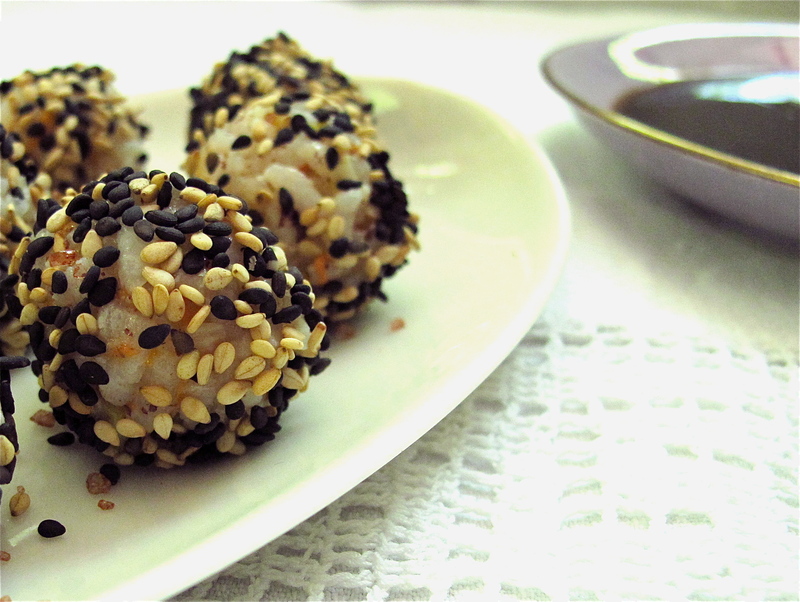 I usually try to avoid refrigerating Japanese rice balls (or sushi rice in general), because it tends to dry out, but maybe that wasn’t a problem for you with all of those tasty ingredients mixed in throughout the rice? I think too many days and it might be a problem. But we went through this in 2 or 2.5 days and it was totally fine. Those would be so popular with my kids–I think they’d love both making them and eating them! My kids too – especially my daughter. She loves anything tactile. The messier the better. Enjoy and let me know how it goes. These are too cute! And what a great appetizer. I never seem to be able to get the right consistency for sushi rice. Any tips? Hope that helps! And let me know how it goes.